BEWARE: Camera flashes can cause blindness especially to newborn babies and to babies who still close their eyes when they see light. There are so many causes of blindness, either blind since birth or caused, accidents or influenced by different factors as they grow up. But this not-so-common cause of blindness is taking abuzz online. Camera flash is the main culprit for this case. A family friend tried to take a photo of a baby but forgot to turn the flash off. Because of that, the baby was left blind all his life. This baby boy is still three months old and he won’t have the chance to see the world on his own eyes. 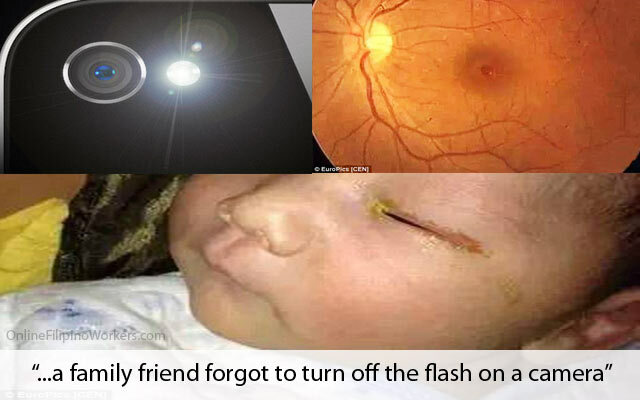 According to doctors, the strong flash from the camera damaged the cells in the macula of the baby. Macula is part of the eyes responsible in receiving light coming from the environment outside. Also, the macula in your eyes will be developed fully when the child reaches 4 years old. This just means young people below 4 years old shouldn’t be exposed to so much light. In a matter of milliseconds that babies get their eyes exposed to so much light can cause total blindness. But this baby is unfortunate enough to suffer this kind of handicap that he’ll be able to carry all his life. According to witnesses, the camera was just 10 inches away from the baby, exposing him to so much light. 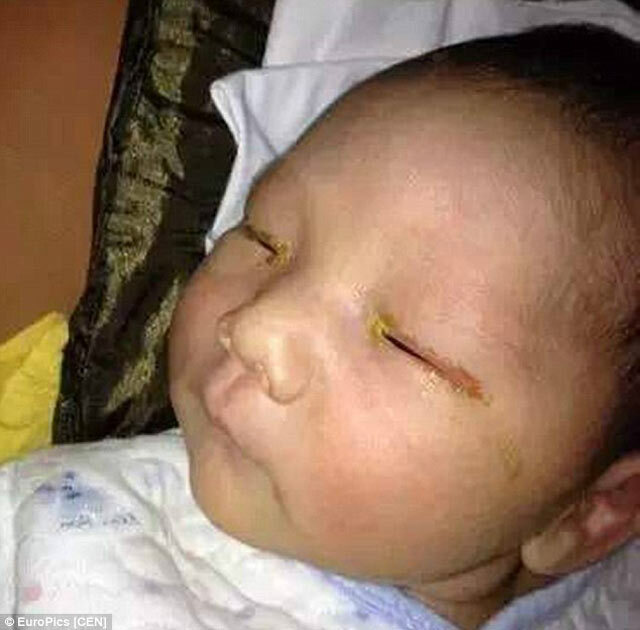 After the photograph as taken, his parents noticed something wrong with his eyes and was brought to the hospital immediately. But it’s too late, the damage was irreparable according to his doctors. His right eye was totally blinded and the left side has reduced vision. This is such a good lesson to all parents who loves to take close up pictures with camera flashes to their babies. Not just camera flashes, but also light from bathroom when babies are taking a bath, or exposing them outside with so much light. This might cause permanent damage which can’t be fixed by surgeries or medication.